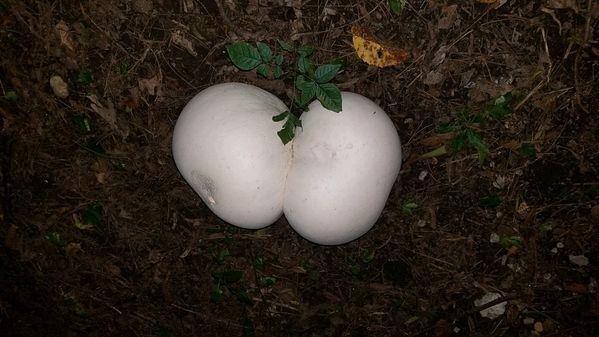 I was out on the ATV the other night and stumbled upon a fairy ring of Giant Puffballs. 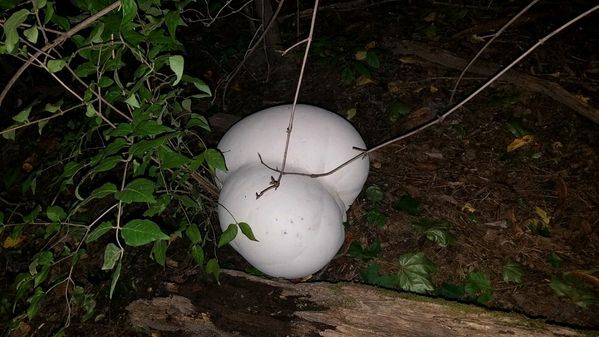 These were much larger than than Puffballs I have found in the past, and I found them at the perfect state of development for eating. Stored them in the garage fridge for a couple days and finally made some Puffball Pizza tonight. 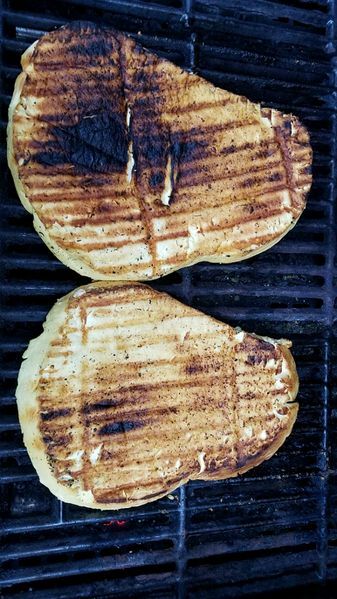 Cut them into 3/4" slices and lightly coated with olive oil and Italian seasonings, then browned them on the grill. 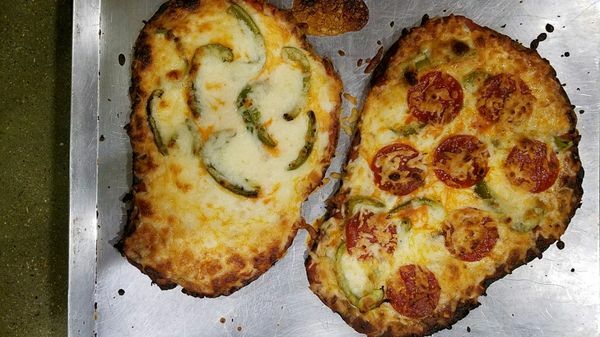 Topped with some pizza sauce, grilled green peppers, pepperoni, and mozzarella and baked at 400 for 15 minutes or until the cheese was brown. Turned out delicious! I brought a puffball to the SU meeting on Tuesday figuring someone would appreciate it, but had a hard time finding a taker. Thankfully Monty was there to take it off my hands and it didn't go to waste because I know where there are several more popping up as I type! Chitown-Angler was started on February 10, 2003 and has received 207386876 page views in total since that date.